30 Piece Kit Snackeez Duo Just $10.99! Down From $40! Ships FREE! You are here: Home / Great Deals / 30 Piece Kit Snackeez Duo Just $10.99! Down From $40! Ships FREE! GearXS has this 30 Piece Kit Snackeez Duo for just $10.99 (Reg. $40)! The Snackeez Duo provides you with a convenient and reusable snack option that you can take on the go. Each cup holds 12 oz. of a drink and 6 oz. of a snack, so you can have both in one place. The cups are reusable, recyclable, and personalizable and can be easily placed in your car, purse, bag or stroller. 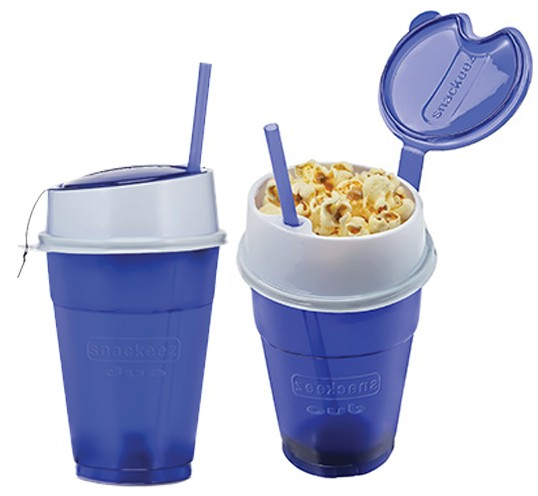 The Snackeez cup features a flip top design and is great for on-the-go lifestyles, as well as parties, barbecues, and trips of all kinds.